John Benjamin of The Bully Pullpit (an excellent social commentary and human reflective blog, by the way—highly, highly recommended) suggested that one of my poems, My Epitaph, reminded him of the Hamilton poem Biography. (Having since read that poem I am red cheeked that anyone would favorably put one of my works in the same sentence with it.) What a compliment…thank you again, John! And what a treasure this little volume of poetry is! Hamilton’s output was small; at one point he characterizes it as ’50 poems in 25 years’ although by the end of his too short, cut-by-cancer life he had written a few dozen more. But still, although a small output, it is a major one: each poem is a finely faceted jewel, beautifully and painfully wrought from the purest sense of intensity and human emotion. I am in awe of his ability to see so close and so honestly to the heart of a matter and to allude to it so quickly, yet sum it up so perfectly. His was not an easy life. I’ll let you read the details via the Wikipedia link, but suffice it to say that I believe this poem In Dreams was written about dealing with the mental illness of his first wife. As to his standing as a poet, I am not even sure that he would have even characterized himself, at least at first, as a poet. He is better known as a critic, editor and biographer. But surely the proof is in the work itself. His poems may be few in number and they may all be brief in character, but they are simply exquisite in composition. 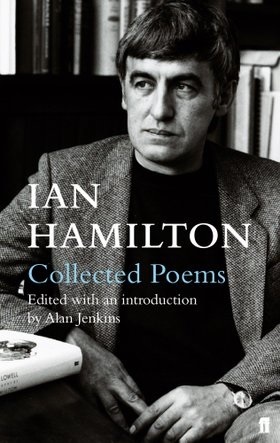 There are other poets of the second half of the 20th century who were more famous in their lifetimes than Ian Hamilton, but none were better and none deserve more fame than he, as we continue on into the 21st century. This will be the first of a few of his poems that I will present to show more of his genius. But I highly recommend you finding, if you can, your own copy of his Collected Poems. It is so well worth the effort! Thank you for reading Ian Hamilton’s ‘In Dreams’. I sincerely hope you have enjoyed it and I humbly appreciate your visiting the Book of Pain. As always, I look forward to your comments. Barbara, you are always too kind. First off, I am glad that Ian Hamilton’s poetry was fun for you to find too. I know it has (and is!) blowing me away. Barbara, dearest, at the best of times my writing can best be described as ‘glacial-like.’ And look at Ian Hamilton: just over 60 poems in a lifetime. Give it a whirl. I do not think that you’ll surprise me, but you may surprise yourself! Excellent Hamilton poem. He nails every word in this poem, and leaves you at the perfect spot — not too much said, not too little. And by the way, I stand by my comparison of your work to Hamilton’s. The structures are similar (one could call them formal but minimalist) and the messages each posses a similar sharpness of vision and sense of emotional wandering, or anti-clarity. In this way, they are effective verse. The moods much of your poetry projects are very complex, and Hamilton’s often do the same — a difficult trick to pull off. Gosh, that is very kind of you and I deeply appreciate your insights and compliments. And, of course, also for being the source of my interest in Hamilton in the first place. He is a phenomenal talent and I have enjoyed reading his work immensely over the last month.